Learn what some of the best athletes in the world eat, how they fuel themselves and lessons learned along the way. 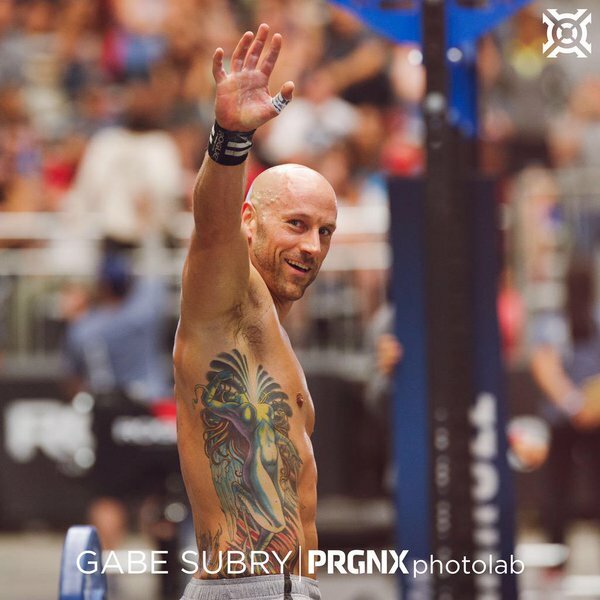 This week we sat down with CrossFit athlete Gabe Subry. 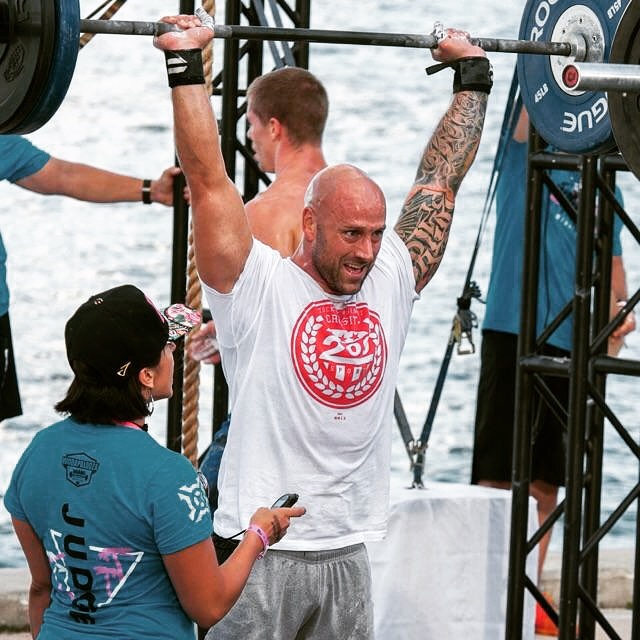 Subry, a member of the CrossFit HQ Level-1 seminar staff, first stumbled upon CrossFit in 2008 working as a personal trainer looking for new things to do with his clients. 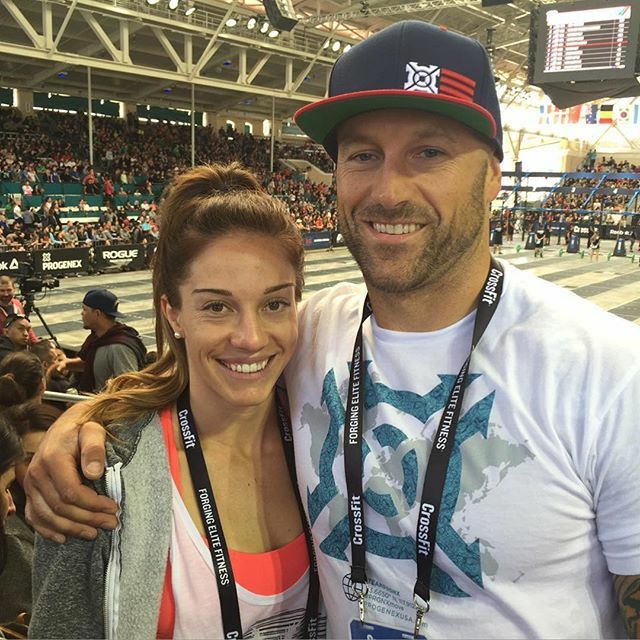 Now a 3-time CrossFit Games Individual competitor (2010-12), Subry and his wife Kirstie have competed as Individuals at the California Regionals the last three years in a row (in 2014 they competed at the NorCal Regional). After opening his first CrossFit gym in 2009—CrossFit 209 Sport—Subry recently relocated his business to a mega facility called The Human Improvement Project. Located in Stockton, California, the facility is a whopping 53,000 square feet, and houses 70 yards of indoor turf, a 5-lane 200 meter indoor track, and a full competition set rig divided into lanes similar to a Regionals event. The quintessential “dream gym”. 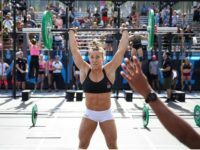 Subry: For the longest time, or at least when we first got into CrossFit, it was all Paleo, Paleo, Paleo. When you first start CrossFit, you buy into that whole cult—gotta eat Paleo, got to wear these weird shoes…and you do your research and find your own thing. Paleo is definitely the way I still eat pretty much. About 6 months ago or so, my wife and I started to follow the macros diet. Most of the foods we eat are still considered paleo, we just incorporate a lot more rice now—I eat rice pretty much every night. It’s just more specific now on how much [grams of] protein, carbohydrates, and fats we need to eat. Athlete Daily: What made you decide to switch to more of a macros approach? Subry: My wife was the one who was going to start macros. I had read a lot about it, seen competitors have a lot of success with it. I was under the impression that my nutrition was dialed it. I was about 21-22 [years old] when I started to eat super clean—more of a body building approach [in that] I weighed everything I ate. I did that for a year, year-and-a-half and then stopped measuring. Over the years, the ability of eyeball [portions] starts to fade. I said I’d try it too when she did. [I thought] what the heck, I’ll do it. Athlete Daily: Did you notice any changes when you started tracking macros? Subry: Going into Regionals I wanted to gain 3-4 lb. but not body fat. [I thought] if I can gain muscle, that will help me perform better. So I calculated and [the amount of carbs needed] was more than double what I was actually eating. That was MIND BLOWING. I realized I was WAY under what I should have been eating. Which is kind of weird—you’d think you need to eat less to get leaner. I always made sure I got my 190g of protein in always. But I didn’t realize how low the amount of carbs I was eating actually was. I didn’t really eat rice, didn’t eat grain; it was basically just a little bit of carbs before my workout, a large amount after, and the rest of my meals I tried to keep the carbs low. Dinner was just meat and veggies and that’s about it. I’d heard people had a lot of success with this, [and I remember thinking] I’m not even close to what this [calculator] says I should be eating. So I [started to] add in all these carbs….a cup of rice at dinner, and a huge bowl of berries before bed. But you just kind of trust it, and we’ve seen great results. I’ve gotten a lot leaner. Athlete Daily: It’s kind of hard to accept eating all those carbs at first. Subry: When I started incorporating carbohydrates, I was performing better, recovering better, wasn’t feeling as beat up. 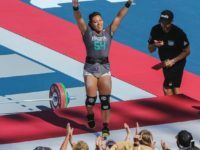 Being able to recover is so crucial, and when I started adding more, my body was repairing [itself] faster and I [felt like] I could handle that beating [of] a high volume training schedule. The thing about [calculating] macros, if you don’t know how much you’re eating, you can’t make adjustments as much. It’s more of a scientific approach. Once I calculated what I was actually eating versus what I was supposed to, it opened my eyes that I’m a lot further off than I think I am. Athlete Daily: Right, and then you have more of a measured plan. Subry: With CrossFit, most people enjoy that it’s a scientific approach to fitness. Did I run faster yes or no? I can run a mile and time myself. Am I stronger yes or no? I can test it. I can test everything and know if I’m getting fitter in these areas—you know and then you can adjust accordingly. Macros are the same way—I know exactly how much I’m eating, I know for the last four weeks I ate [all this]. Well how is my performance doing? I got weaker and slower. Well, I’m probably not eating enough. So how can I add? Add X amount of carbs and see how you feel. Do you feel recovered? Are you performing better? Once you hone that in to exactly where that’s at, the best performance you can possibly get—dialed in exactly what your body needs based on who you are, how much you train. That’s like the closest thing to taking steroids. It’s all about changing the variables until you get the results you want. If you come to me and your panicky with your nutrition, telling me you’re not getting any leaner— OK show me how much you’ve been eating, how much you’ve been training. We can guess, but if we know exactly how much you’ve been eating and training, we have a much better picture to go off of. Athlete Daily: Are there any foods that you avoid completely? Subry: I enjoy my weekends that’s for sure [laughs]. My downfall is beer on the weekends. I usually don’t eat bad—I might go get a burrito or something. But we’ll be out by the pool and I’ll be drinking a beer, especially now that we’re in the off season. I do avoid bread. I can eat some grains, but if I eat just straight bread—like pizza or a piece of bread—I can feel the inflammation in my body and in my joints and I don’t normally have pain. Have an athlete you’d like to see featured? Let us know! crossfit, diet, flexible dieting, gabe subry, macros, nutrition, nutrition series, nutrition tips. Bookmark.